Established in 1930, Goodwill of Central & Southern Indiana has an enduring history and a thriving presence throughout the state. The Rev. 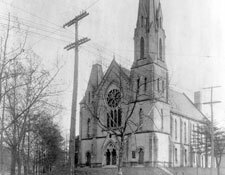 Albert Spaulding established the first Goodwill program in the basement of Indianapolis’ Fletcher Place Methodist Church in 1930, modeled after the program that the Rev. Edgar J. Helms first established in Boston in 1902. In 1934, the Rev. Howard Lytle came to Indianapolis and became the driving force behind the development of the organization. In its more than 80 years, the organization has enjoyed the stability of only four leaders at its helm – Lytle, Alan M. McNeil, James M. McClelland and Kent A. Kramer. On January 1, 2017, the central Indiana Goodwill merged with the southern Indiana Goodwill (based in Clarksville, IN) to form Goodwill of Central & Southern Indiana. The once church-based program has grown into an autonomous metropolitan organization and emerged as a leader in the Goodwill movement. The Great Depression had disrupted many lives in Indianapolis. From a basement community center, the Fletcher Place Methodist Church offered a variety of programs, such as a kindergarten, clubs and medical clinics. But what neighborhood residents needed most were jobs. The Rev. Albert Spaulding, encouraged by local church leaders, traveled to Boston to learn about the first Goodwill Industries established there in 1902. Upon his return, he established a Goodwill program. The Rev. Howard Lytle came to Indianapolis and became the first chief executive officer of the local Goodwill. In the 35 years of his leadership, he brought Goodwill out of a basement and into the forefront, becoming a leader in the field of vocational rehabilitation, nationally as well as locally. He established significant relationships with leading families in the community, and many of those relationships exist today. Goodwill had four employees; two part-time store clerks; a part-time secretary and a church janitor, who worked part-time picking up donations. Wage was 15 cents per hour. Annual sales totaled $2,870. Goodwill Industries of Indianapolis was incorporated in the state of Indiana. In need of additional space to continue operations, Goodwill moved to the former headquarters of Diamond Chain at Senate and Washington streets. Goodwill expanded its industrial work base and began doing subcontract jobs for local businesses. Goodwill Industries moved to its current headquarters building at 1635 W. Michigan St., the first facility in the nation to be built expressly for the use of a Goodwill organization. The Rev. Howard Lytle retired after 35 years of service, and Alan M. McNeil became the second chief executive officer of the Indianapolis Goodwill. He purchased the organization’s first computer and emphasized Goodwill as a business as well as a service organization. The Indianapolis Goodwill was the first Goodwill in the United States and the first organization in Indiana to become accredited by CARF – the Rehabilitation Accreditation Commission. We continue to be accredited. The Goodwill Industries Foundation of Central Indiana, Inc., was founded to support Goodwill Industries, aid in establishing and expanding vocational development programs in central Indiana, and award scholarships to promising students interested in careers related to Goodwill’s work. Following Alan McNeil’s untimely death, James M. McClelland became the third chief executive officer of Goodwill. The organization was re-incorporated as Goodwill Industries of Central Indiana, Inc., to better reflect its regional focus. 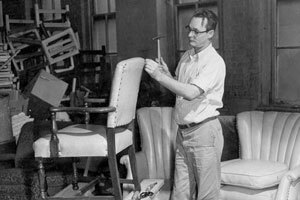 Goodwill Industries of Central Indiana, Inc., became the first Goodwill in the country to manufacture a commodity under the provisions of the Javits-Wagner-O’Day Act, a program established by Congress to increase employment opportunities for people with severe disabilities. Inflation hit Indiana hard, affecting the number of jobs Goodwill could offer. From 1979 to 1982, recession caused the loss of 28,500 manufacturing jobs in Indianapolis. At the instigation of Richard A. West, a Goodwill board member, Goodwill collaborated with the West Baking Company to supply the entire 31-person labor force to make 100,000 English muffins a day for McDonald’s. This effort continued until 1983 when the company was sold. Donated goods were decentralized, and Goodwill ceased all repair/refurbishing operations. This decentralization enabled stores to accept donations and put products on the sales floor much more quickly. Goodwill landed a shelf-stocking service contract at the Commissary at Fort Benjamin Harrison under the Javits-Wagner-O’Day Act. Goodwill continues to maintain janitorial, grounds-keeping, shelf-stocking and mailroom service contracts with the federal government under this program, now known as AbilityOne. Goodwill opened its first suburban retail store in Hamilton County, leading to major expansion in prime suburban locations. This suburban expansion also improved the quality and quantity of donated goods that could be sold. The organization began operating the Marion County iNET Centers as part of a consortium made up of the Indiana Department of Workforce Development, Goodwill Industries of Central Indiana, and the Indiana Bureau of Vocational Rehabilitation. The Marion County Office of Family and Children was later added to the consortium referred to as WorkOne. Auto Donation Goodwill started an auto donation program to increase revenues for its mission services. ISO Certification Goodwill’s Commercial Services Division obtained its first ISO certification. ISO is an internationally recognized quality management system, and this certification recognized Goodwill’s ability to meet the stringent business standards established by the International Organization for Standardization. Today, the division is certified to ISO 9001:2008 standards. On Aug. 24, Goodwill opened Indianapolis Metropolitan High School, a public mayor-sponsored charter high school, where students focus on college and career readiness. Nearly 300 students currently attend. Goodwill opened its first Goodwill Outlet Store, where clothing, housewares, glassware and toys are sold by the pound. Goodwill celebrated 75 years in central Indiana with a Mega Sale, an historic donor recognition event at the church where Goodwill began, and a gala Little Black Dress Ball. Goodwill’s Commercial Services moved to a new 80,000-square-foot facility that included more than 30,000 square feet of high-clearance storage with another 30,000 square feet of space available for future expansion. The first class of 44 students graduated from Indianapolis Metropolitan High School in May. The class of 2008 received $200,000 in scholarships and grants. 95% of the students who graduated were accepted to at least one college or other post-secondary institution. The Excel Center On Sept. 7, Goodwill opened The Excel Center, a mayor-sponsored public charter school, to provide adults the opportunity and support to earn a high school diploma and begin post-secondary education. In November, Goodwill began implementing Nurse-Family Partnership (NFP), a national, community health program recognized for increasing health care access to new moms and improving health outcomes. Of all the NFP implementing agencies in some 40 states, we were the only Goodwill and the only implementing agency in Indiana. Following the retirement of longtime President and CEO Jim McClelland, Goodwill’s board of directors named Kent A. Kramer as President and CEO in April. 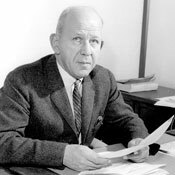 Kramer formerly served as Vice President of Retail Operations and, later, Chief Operating Officer. In February, Goodwill’s Nurse-Family Partnership celebrated the 1,000th baby born into the program, signifying a milestone in Goodwill’s efforts to improve the lives of Hoosier families and children. In August, the organization announced a merger with Goodwill of Southern Indiana, to become effective on New Year’s Day, 2017. On January 1, the central Indiana Goodwill and southern Indiana Goodwill merger became effective, and Goodwill of Central & Southern Indiana was born. The organization, based in Indianapolis, serves 39 counties.